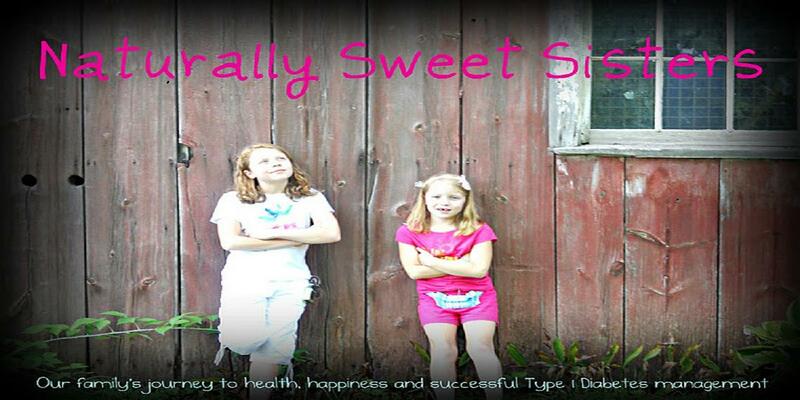 Naturally Sweet Sisters: Disney and Diabetes Part 2 – You Booked and So Now What Do You Do? Relax and Plan Your Meals! Disney and Diabetes Part 2 – You Booked and So Now What Do You Do? Relax and Plan Your Meals! This is one blog post of a series on Disney and Diabetes- Yes, You Can!!! So you finally took the plunge and booked a trip to Walt Disney World. Whether this is your first time or too many to count times of visiting the mouse, inevitably you are left with that now what to do we do feeling? Well, as a "too many to count family of visiting the mouse" (it really is The Happiest Place on Earth), this is the time that I like to spend getting my plans in order. To me, a successful vacation with the family involves two things: Getting a comfortable place to sleep and making sure we are getting nutrition to help keep type 1 diabetes in the best possible form. This blog post is devoted entirely to both of those concepts. First off, to really envision the park layout and to narrow down what you would like to accomplish while you are there, you need to order a map. Right HERE offers free map creation customized to fit exactly what your family would like to do while at the parks. Typically, I recommend highlighting all areas of each park so that you can get a handle on where things are located. Also, while Disney recommends allowing at least six weeks in advance for preparing and mailing of the maps, there is an option to print the maps at home. You can also order a free Disney DVD planning video – and if you have little ones, they will love to watch this as much as they love to watch a full-length Disney animated movie. The second thing to do is to immediately list the restaurants that you would like to visit. Disney allows guests to make dining reservations 180 days out. That means unless you schedule your trip very far in advance, many spots will already be filling (or even full) before you have a chance to select yours. If you have a dining plan from Disney as part of your package, using the new My Disney Experience App Right HERE will help you figure out how many dining credits each reservation is worth. As a bonus, you can also change your reservations using the App right up until the day before your reservation is slated. Disney and Diabetes Tip: When you make your reservation, plan it for the time when you feel you would normally eat with your family. If that means early, make the reservation then. Keeping a schedule will help your kids stay on track and you are going to see smoother blood glucose numbers. Disney and Diabetes Tip: If you cannot make a reservation and have a quick service counter restaurant (Like Belle’s restaurant in FantasyLand – Magic Kingdom at Lunch Time), consider planning your time closest to that section of the park. When the restaurant opens at 10:30 a.m., plan on being one of the first people there. Eating at off times will lessen the wait time and nothing worse than needing food and standing in line. When you have your personalized maps, take a few moments to highlight ON THE MAP, where you need to be and when for dining reservations. Let me tell you, several times we have been on the opposite side of the park when we realized that we needed to be heading over to our restaurant for dinner. This will help all of you, especially with older kids that venture off, to know where to meet back up. Disney and Diabetes Tip: Did you know that most BabyCare Stations at Walt Disney World will gladly hold your insulin (put in a clearly marked bag with your name, phone number and hotel phone number) in their refrigerators while you enjoy time at the parks? To take advantage of this, using your Disney Map, find the location of the nearest BabyCare Station to your dinner or lunch reservation AND MARK IT ON YOUR MAP. That way, you can run over and grab your insulin and head to eat your meal. Since food is a big part of all of our lives while living with type 1 diabetes, it is good to have options on how to handle this while on vacation. If you are planning on saving money while visiting the Disney parks, dining with your own food is a great way to save a bundle of cash. Most mid-level and up hotels offer a refrigerator automatically. If your room doesn’t include those, upon check-in, explain to your hotel that you are traveling with a child living with type 1 diabetes and you must have a refrigerator to keep insulin cold. In all of our trips, no one has ever had an issue with this simple request. You can also call ahead and have it added to your reservation. Disney and Diabetes Tip: Ask for a mini refrigerator for your room in advance so that it is all set up when you get check-in. Be sure to explain that you have type 1 diabetes and need to have this to keep insulin cool. There should be no charge for this service. Once you have a refrigerator, you can consider planning to pack lunches for the time you will be at park. Yes, Disney allows you to bring your own food into the park. In fact, I usually pack snacks even if we have dining reservations throughout the day. Nothing makes my finance driven husband crazier than having to shell out $10.00 for an apple juice, even for a low blood sugar moment. Ok, it isn’t $10.00, but you know that is how he feels! We would both much rather be prepared for whatever low or high blood sugar that comes our way. Disney and Diabetes Tip: If your child is having a low blood sugar and you find yourself without snacks or glucose, grab a cast member. One year, our youngest had a low and the nearest food station’s line was a mile long. The cast member immediately cut around to the back and instantly produced a bottled juice for our daughter. He wouldn’t even let me pay for it. This is hands down why I love Disney! Disney offers locker rentals for this exact purpose. As soon as you enter the park, head over to the Locker Rental stand and get one. Lunch will be kept in the shade for the entire time you are at the park. A bonus is that there will not be waiting in line when you are ready to eat. Disney and Diabetes Tip: Pack a sharpie and a box of sandwich baggies. Before leaving the hotel in the morning, count out portions and mark the baggie with the correct carb amount. That way when everyone is eating their snacks, you won’t have to think too hard about how much insulin to dose. After a day in the park, you can have food ready to go in your room. The Value Disney resorts have a food-court dining area that also includes several stand-alone microwaves. For this reason, we also pack microwave popcorn, microwave pasta or macaroni and cheese. You can also pack individual sized oatmeal containers or soup. Basically anything that is easy to heat and serve without a lot of refrigeration. I also pack a few other items like whole wheat bread, peanut butter (Soy butter or Nutella are great too), cold cereal in individual cups, fruit snacks, juice and crackers. Believe it or not, with this small variety of groceries, our family can easily manage breakfast, snacks and lunch while spending only a limited time in restaurants where carb counting (or should I say guesstimating because Disney does NOT release this information) can be a challenge. Maybe you are planning to fly and you are worried about how to transport all of those items. Well, Disney has you covered there. Several grocery chains offer delivery for a nominal fee and the items (including cases of bottled water) can be delivered right to your hotel room. Near the grounds (in case you get a rental car) are several Winn-Dixie and Publix grocery stores. There are also Hess Gas Stations near several of the parks. We have been known to stop at a Hess on the way back to our hotel to replenish our milk. I love that they sell smaller quart size containers which fit nicely into the mini refrigerators. Hydration – Water Is Key! Which brings up another great point… while you are at Disney, you have to stay hydrated! We drink water all day long while we are at home. In the hot Florida sun, we drink even more water. Now, not all water tastes great. Some water is just terrible. For that, we tend to keep Cyrstal Light packets in our backpacks. You can also pack a MIO water flavor or even lemon slices if you are keeping clear of additives. 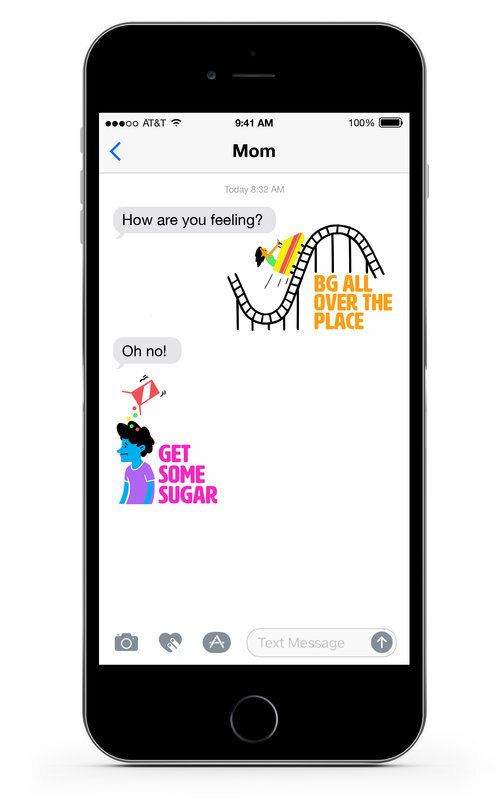 Definitely bring something to help entice your kids to drink and plan on re-filling several times while you are at the parks. This is one time where caffeinated soda is not your friend as it will work against your attempts to stay hydrated. Disney Diabetes Tip: Pack a water bottle for every family member. Clear, plain BPA -Free containers can be personalized with a sharpie and Disney stickers. This will save you $$ in the parks for buying a water bottle there and will be a fun project with your kids to help pass time before your trip begins. I’ll post more tomorrow on specifically what to pack but for now, this should help you get started with some initial Walt Disney World and Diabetes planning ideas. Heading to Disney in two weeks. 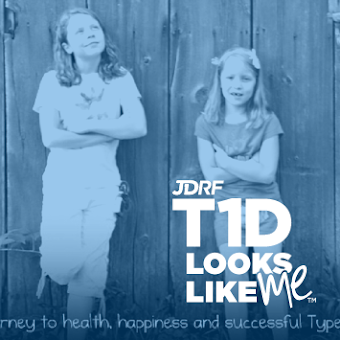 While I am trying to stay calm, I have to admit that I am getting a little worried about our first big trip with Type 1 Diabetes. Your site has been so unbelievably helpful. We too have the philosophy that our daughter is first and her diabetes is secondary. Your tips will help us have a calm Disney vacation, well as calm as you can be with T1D. Thank you. Blood Draws - How Things Change In A Blink! Eyes and Feet - Check, Please! Study, Study, Study - Anything Look Good? A1c - Want to Know?